Senior linebacker Kenny Young has accepted an invitation to play in the East-West Shrine Game, the event announced on Sunday. 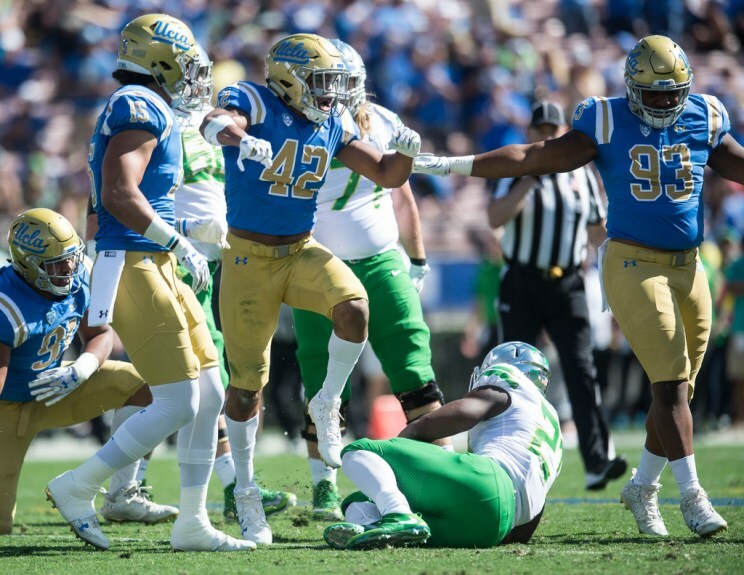 Young, UCLA’s leading tackler, is the first UCLA senior to accept an invitation to an senior showcase game so far. He had 101 tackles on the year and his 9.2 tackles per game average is second in the Pac-12. He was named first-team All-Pac-12 this year for the first time of his career. The game will be held Jan. 20, 2018 at Tropicana Field in St. Petersburg, Fla., at noon with an NFL Network TV broadcast. This entry was posted in Football and tagged Kenny Young by Thuc Nhi Nguyen. Bookmark the permalink.